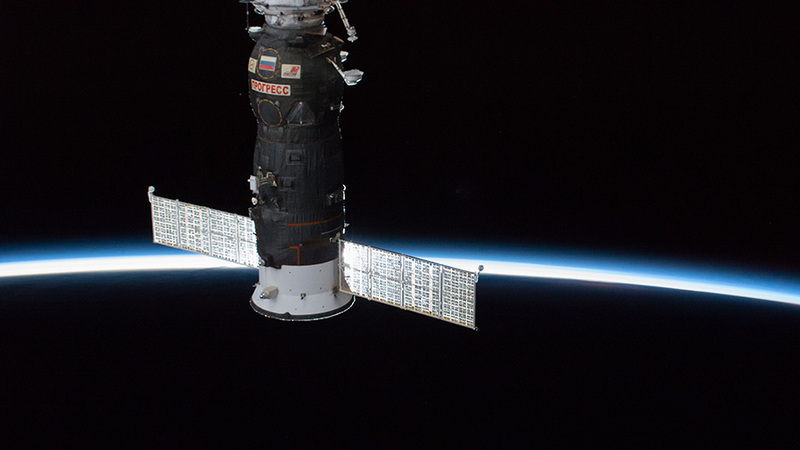 A docked Russian Progress resupply ship dominates the foreground as Earth’s limb is illuminated during an orbital night pass. As one crew is packing up for its return back to Earth another crew is training for its launch to the International Space Station. During the month long crew swap activities, human research is still ongoing aboard the orbital laboratory today. Expedition 54 Commander Alexander Misurkin is getting the Soyuz MS-06 spacecraft ready for its undocking Feb. 27. He and Flight Engineers Joe Acaba and Mark Vande Hei will then take a three-and-a-half-hour ride back to Earth and parachute to a landing in Kazakhstan after 168 days in space. They will be replaced by three new Expedition 55 station residents who are in Star City, Russia taking final crew qualification exams today. Cosmonaut Oleg Artemyev will command the Soyuz MS-08 spacecraft that will launch March 21 carrying him and NASA astronauts Ricky Arnold and Drew Feustel to the space station two days later. Today’s research onboard the station is exploring the physiological changes that take place inside the human body while living and working in space. Astronauts Scott Tingle and Norishige Kanai collected blood and urine samples and stowed them in a science freezer for later analysis as part of the Biochemical Profile and Repository studies. Kanai later checked and tested gear that will measure blood flow in the brain for the new Cerebral Autoregulation experiment.